For the love of food. This statement may seem so simple, but it is the surrounding force behind Vive Bistro & Bakery The central focus is on seasonal ingredients to showcase flavor profiles and bring an experience to customers. With summer time coming, we can look forward to the new seasonal menu and outdoor seating! 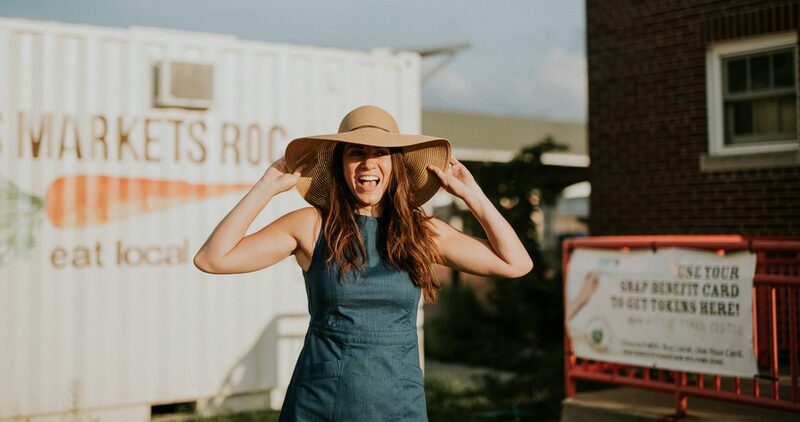 “I wanted to combine my love of food with my desire to change the way that people look at their food and where it comes from…” says owner, Pamela Hathaway. 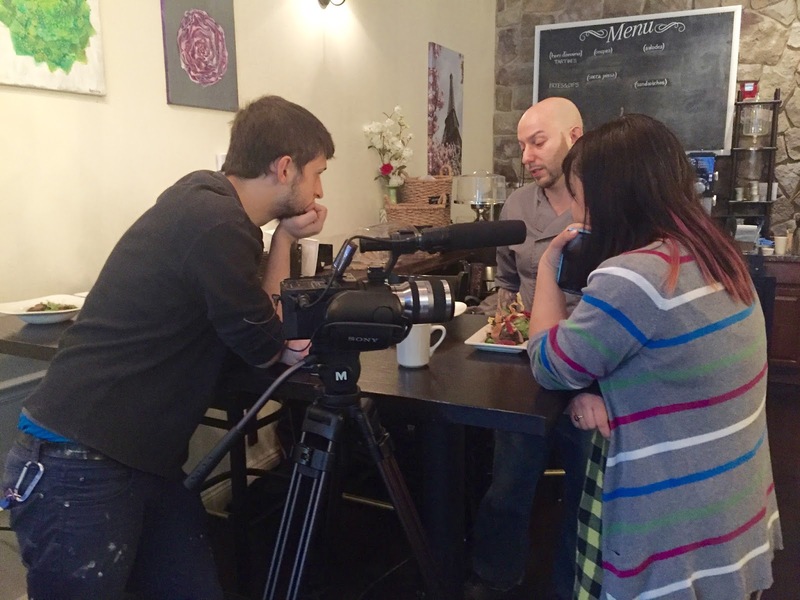 Vive Bistro & Bakery has created quite the impression in the Rochester community, with raving reviews from local food lovers, the Rochester City Newspaper, the Democrat and Chronicle, and The Vegan Roadie (click any of the links to read or watch other publications). With their opening a little over a year ago, the customer base has dramatically grown. 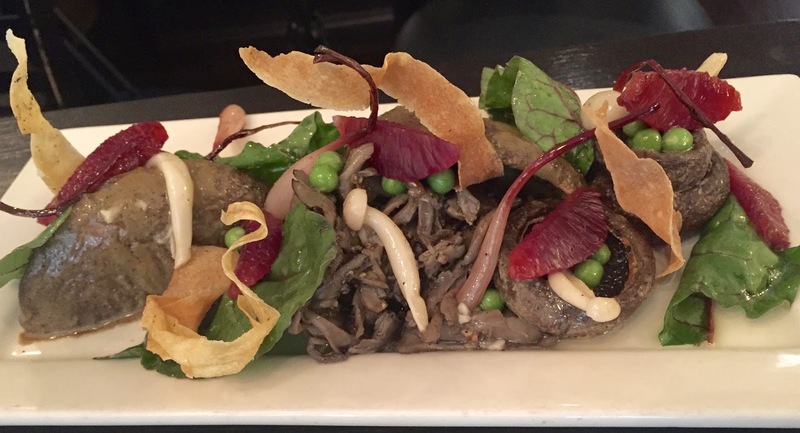 Vive Bistro & Bakery is a vegan restaurant that focuses on artisanal french cuisine. You definitely don’t have to be vegan to eat here… just bring your appetite and prepare yourself for an experience you will not forget. The new seasonal menu was just released in the beginning of June. I was lucky enough to participate in the launching of the new menu with the opportunity to taste and take pictures, along with Marie from Edible Photographs and Katrina and Colin from Dead Radio Star Productions/VBBPromotions. Check out their amazing work by clicking the links! Picture above is the Forager Salad. Mushrooms, both cold and warm, pickled ramps (which I am loving right now! ), blood orange, English peas, swiss chard, and crispy salsify (earthy tasting root, also known as the “vegetable oyster”) create this beautiful looking dish. One of the customer favorite dishes (and mine) at Vive is the Poutine. Poutine has become a hot commodity in Rochester and many are familiar with the fresh cut fries, and the rich gravy with cheese curds topping the dish. 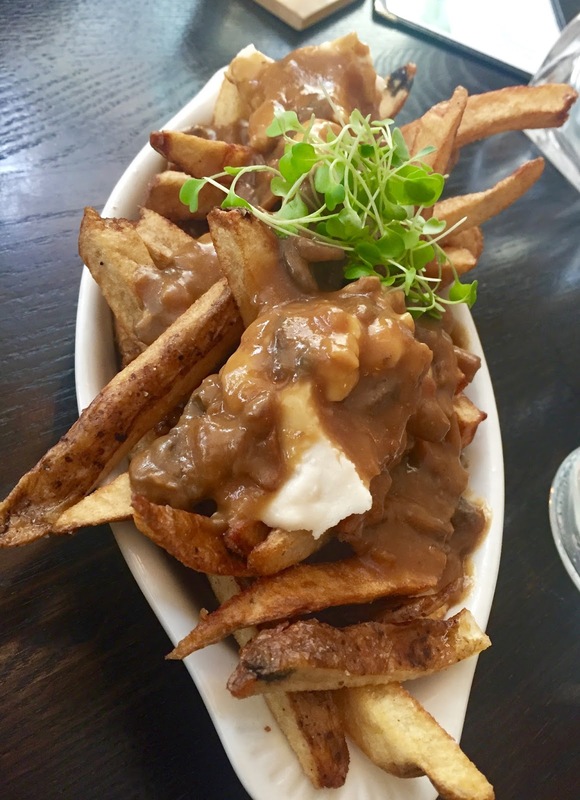 If you have not yet tried the poutine at Vive Bistro & Bakery, you have not fully experienced poutine at its best. Chef Mark created this dish when he was living in Florida. He was asked to bring a dish to a holiday event at a local couple’s house. The couple was vegan and with this in mind, he created the rich and flavorful mushroom gravy. The reaction of the couple quickly convinced Mark that he was onto something special. Shortly after, he joined Pamela back in Rochester and brought the recipe with him. The poutine at Vive is topped with creamy smoked mozzarella, which is soy based. This is a must try; trust me. 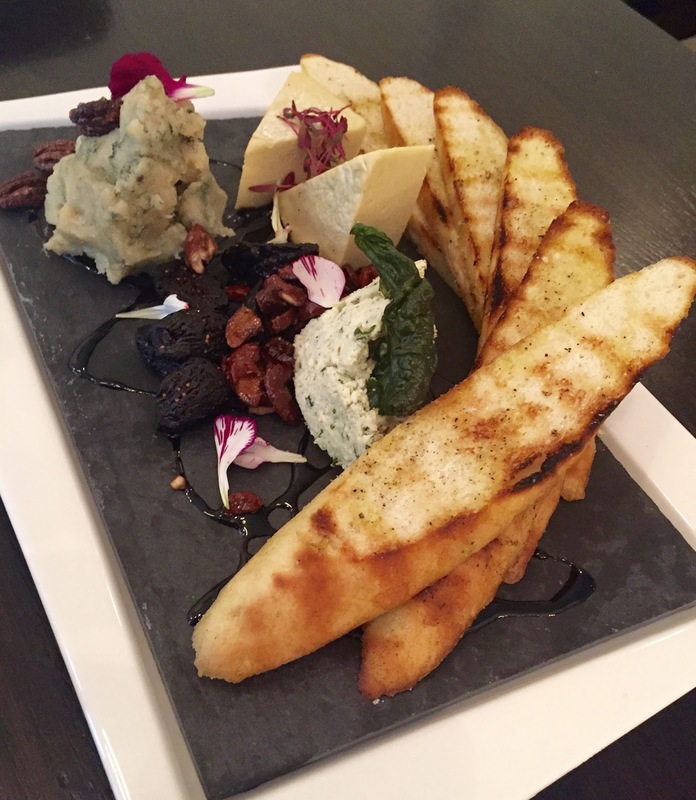 Vive makes all of their cheeses in house, including brie, boursin, parmesan, the smoked mozzarella featured above in the poutine, blue, and ricotta. You can find most of these cheeses on their Cheese Plate. All of the bread is also made in-house. The crispy crostini, lightly grilled is the perfect combination with the cheeses featured on the cheese plate. 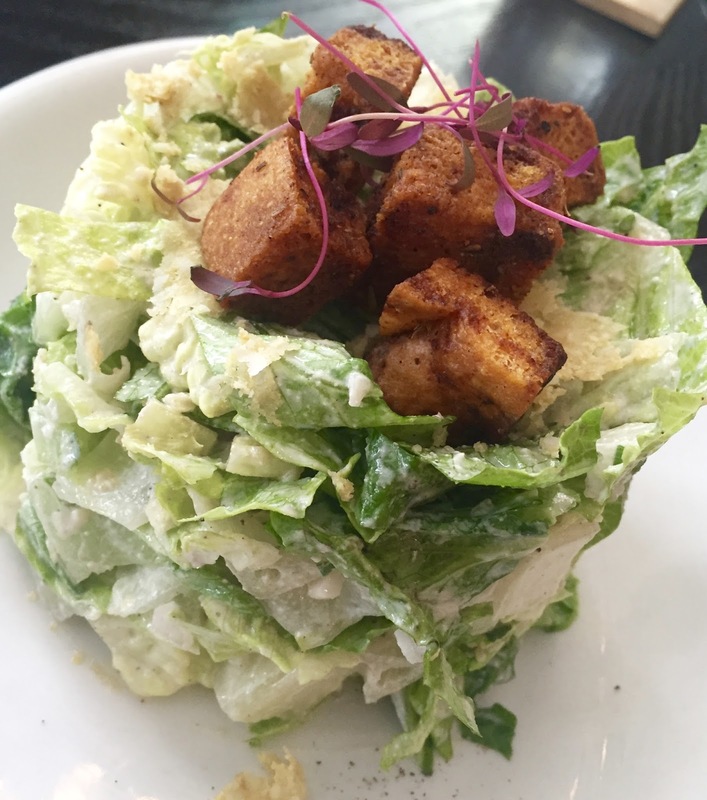 Many may say “What’s in a salad?” Well if you are asking that question, you have not tried the Caeser Salad there yet. The perfectly seasoned creamy dressing with the addition of the crunchy homemade croutons makes this dish the perfect starter. This is the type of salad that you thought could only live in your dreams. My friends, it has now become a reality. The new menu is updated with tasty and beautifully presented dishes. The Yuzu and Melon Salad is a spectacular dish that heightens all of your senses, from presentation to taste you will be amazed by this dish. Melon is an ingredient we see quite a bit in the summer and it makes sense to feature it along with one of Chef Mark’s favorite citrus ingredients, yuzu. 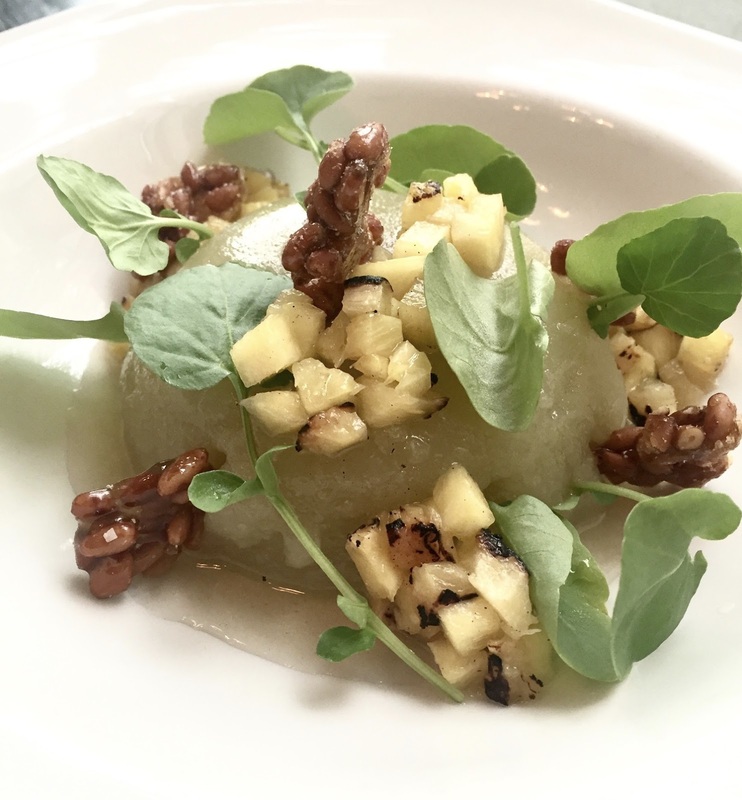 It is topped with peppery watercress, candied pine nuts, which add a crunch, and grilled pineapple. 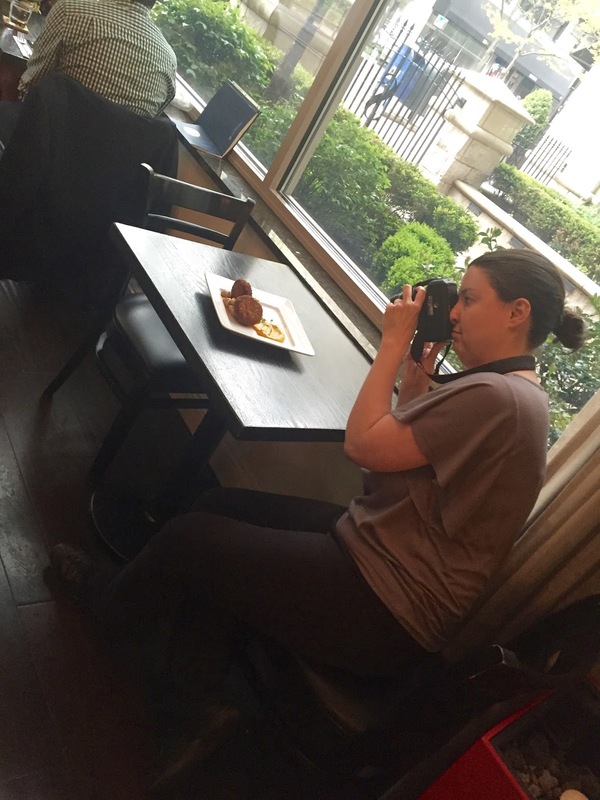 Check out my feature of this dish in Rochester A-List Best Dish List by clicking here. This ultimate dish is the epitome of summer. 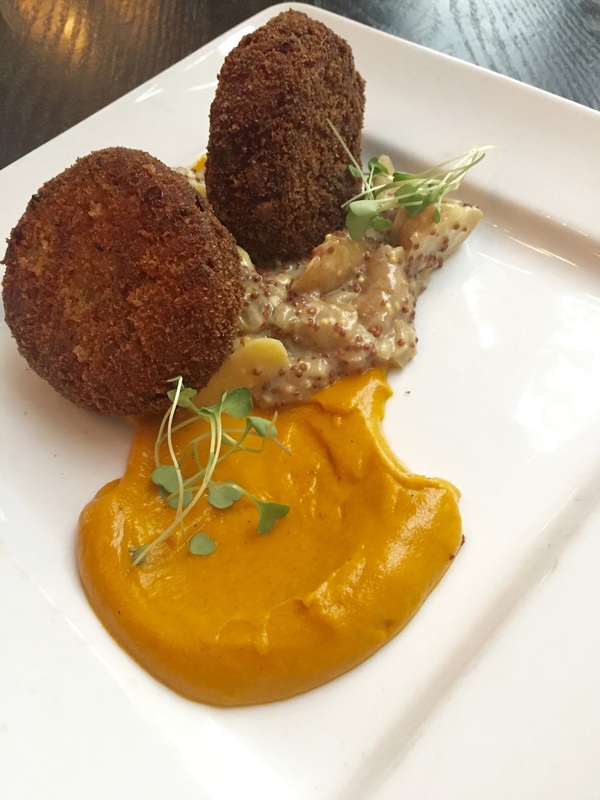 I was pleasantly surprised when I tried the Croquettes de la Mer, as we typically relate seafood to “mer.” This dish was absolutely delicious and was made with hearts of palm. It was painted with a side of sweet carrot puree and tangy mustard potatoes. The delicious dish was perfectly balanced and I couldn’t help but go in for bite after bite. The menu also includes the Mushroom Florentine Socca Pissa. 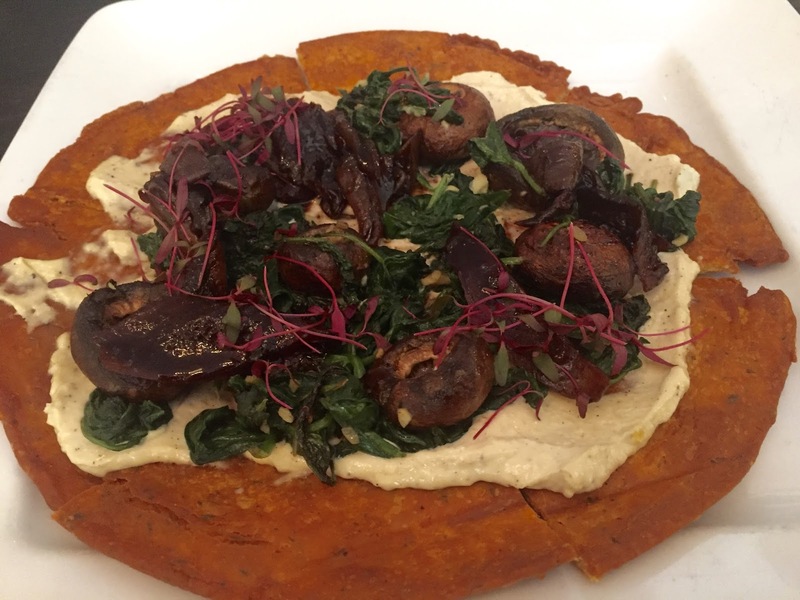 A Socca Pissa is a gluten-free twist on a traditional pizza made on a crispy chickpea flatbread. The socca on the menu is topped with roasted cremini mushrooms, balsamic red onions, wilted spinach and a parmesan spread. This is a great sharing dish! Looking for a sandwich? Then look no further as this hearty Summer Sandwich will leave you feeling fulfilled. 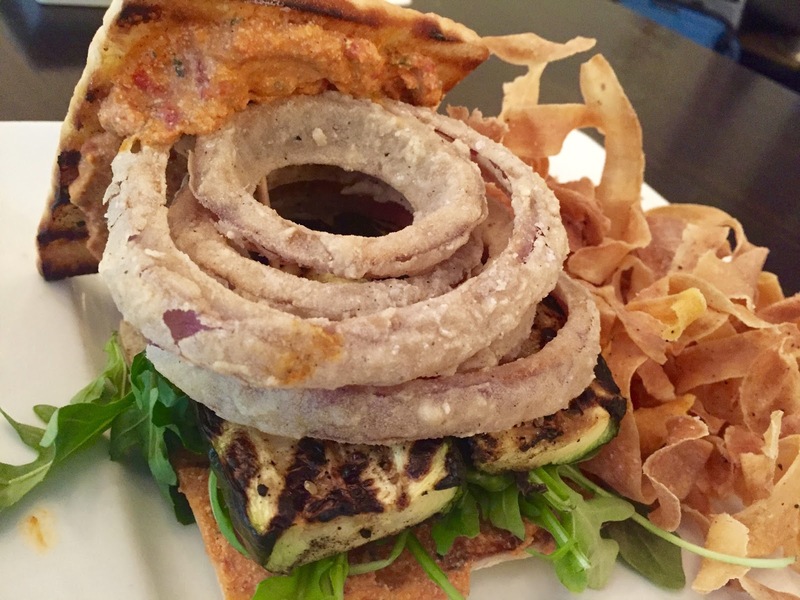 Grilled zucchini, red pepper spread, giant fried onions, and peppery arugula are sandwiched in between 2 homemade slices of bread. For those looking for a hearty dish that feeds your cravings of homemade “pasta”, try the Potato gnocchi. 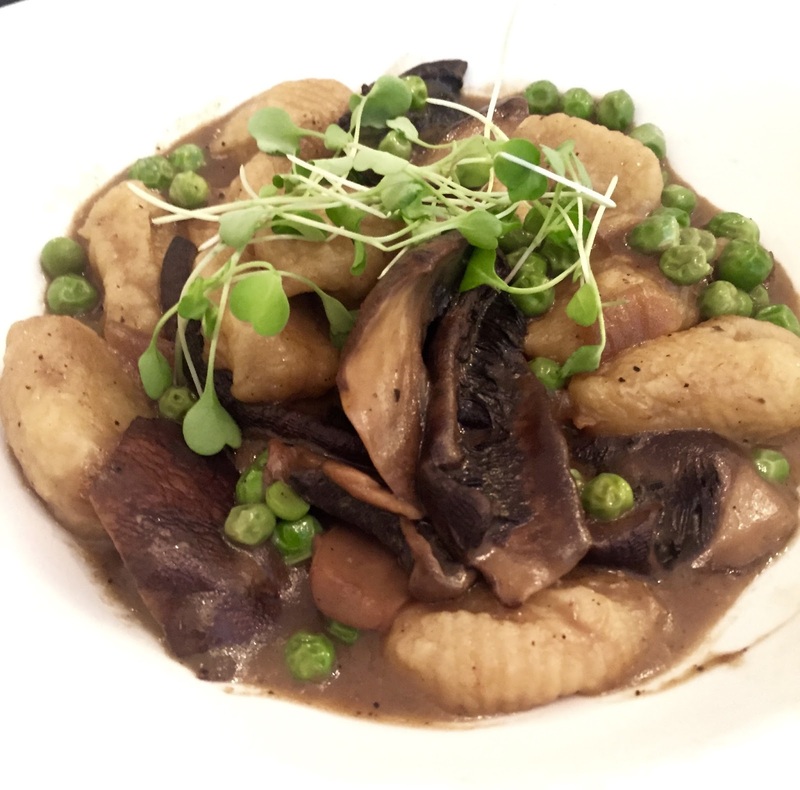 Mushrooms infuse the dish with a warm, earthy flavor, English peas are sprinkled throughout adding a pop of color, and it is lightly coated in a burgundy sauce. Bottom line, whether you are looking for a light summery dish to share with new friends, a fresh cocktail to sip with a pal while people watching on the outdoor seating area, or a hearty dish to split and catch up with old friends, Vive Bistro is your go-to. Vive has a refreshing take on vegan fare and the creative possibilities crafted by Chef Mark leads you with an unforgettable sensory experience. Side Note: Stop by Abundance Co-op and Red Bird Market (Fairport) to pick up grab-and-go items to “feed your soul” throughout the week. Vive Bistro and Bakery is a great addition to the chain of eataries in a town. The pics of cuisines which you have shared look damn yummy. Great place, wonderful food with modern ambiance and comfortable seating with plenty of room. It is now probably one of the best event space San Francisco in my list. Perfect food, great decor and vibrant atmosphere.